SMS marketing or SMS services are one of the fastest marketing services any company wants to market their services or products. Quad SoftTech offers this online SMS service to market the company or business and its services or products. Our sole aim is to make the online SMS service easy to understand and use and I high quality delivery with great results for smooth marketing solutions. You can send thousands of SMS in minimum fractions of seconds. Our service can send text messages to lots of users at the same time. We have been providing SMS services to both public and private sector according to the customer’s needs and requirements. 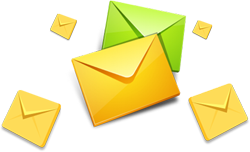 We make it very easy for you to send bulk SMS to your customers and employees from the website. If you are looking for a full service bulk SMS website / internet SMS / online SMS provider, our web SMS portal is considered best in its class.